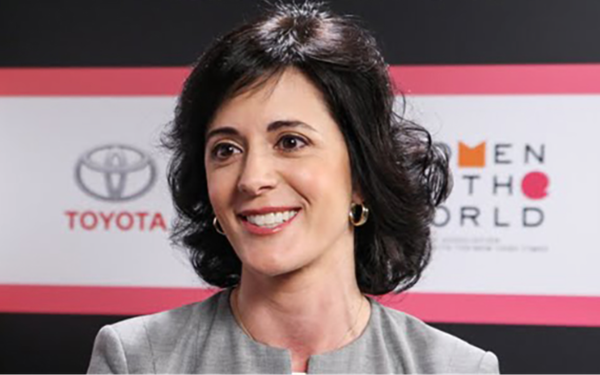 Toyota’s Lisa Materazzo is taking over the top marketing position at Lexus as Cooper Ericksen shifts to Lexus product planning. Materazzo, previously vice president, vehicle marketing and communications, Toyota North America, is now vice president of marketing at Lexus, the luxury vehicle division of the Japanese automaker Toyota. Ericksen, who led the Lexus brand's marketing efforts for Marvel's "Black Panther," was giving his last interviews in the marketing position at the North American International Auto Show. Materazzo started in the new role last week. She has been at Toyota in two different stretches of her career. Materazzo rejoined Toyota nearly five years ago after spending a year at AOL, where she was director of category marketing. Previous to AOL, she was at Ridmakerz LLC and Brand Sense Partners. Most recently at Toyota, she spent nearly three years as corporate manager, media strategy and digital engagement, before shifting to vice president, vehicle marketing and communications, the position she held the last two years. Early in her career, she spent 10 years at Toyota, rising through the ranks from senior product planner, to product planning manager on the trackside, to national manager of long-range planning -- and finally, to national marketing and communications manager of Scion. Materazzi formulated Scion’s youth marketing strategy and oversaw the execution of print, TV, radio and digital advertising as well as engagement marketing and media planning.